The Antarctic Meteo-Climatological Observatory is composed by two projects funded by the italian National Programme of Antarctic Research (PNRA, PNRA14_00019 at MZS and Victoria Land, PNRA14_00100 at Concordia) and managed by staff of the Italian National Agency for New Technologies, Energy and Sustainable Economic Development (ENEA). The Observatory aims to contribute to the understanding of climate change through the observation of the atmospheric dynamics over the Antarctic continent and its variations on different time scales. 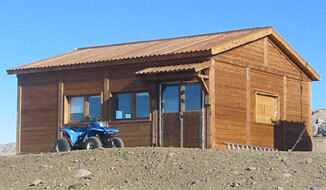 The Observatory staff is present in the Italian coastal station Mario Zucchelli during the austral summer and in the French-Italian inland station Concordia, at 3230 m on the Plateau, throughout the year. Note the difference in temperature between the two stations and display real-time data of our weather stations! Visualizza i dati meteo in tempo reale di tutte le nostre stazioni!